If you don’t post about your vacation online, did it really happen? Sure, it’s a rhetorical question, but one thing is for sure: No one will know about your vacation unless you share it via social media. 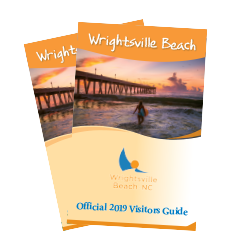 Here are some tips to help you document your next visit to Wrightsville Beach, North Carolina. Take your “Insta” game to the next level while visiting North Carolina’s most accessible beach—Wrightsville Beach–by checking out these top six places to capture photos on the island. Oh, and be sure to use the hashtag #WBAdventure. We promise you’ll hit that max number of Likes! Grab an iconic snapshot from the main drawbridge onto and off the island, the Heidi Trask Drawbridge. Bike or walk to the bridge and enjoy the view of the boats passing by the marina, along with the colorful buildings and restaurants – plus a stunning view of the Intracoastal Waterway. See how this Instagram user @joechesire captured it. Some of the most artistic photos are ones that showcase a different point of view. 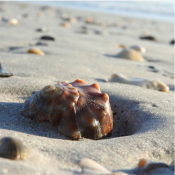 While gathering your favorite #beach treasures during a seaside stroll, take a pic from a different angle. Instead of shooting from above or head on, get close to the sand and take a picture of snap-worthy shells and sea glass from that angle. Your picture will definitely be tap-worthy. Check out this example from the shoreline by Instagram user @robindesignswilmington. 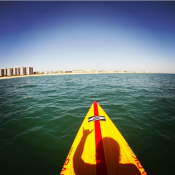 Getting active on the water is a way of life at Wrightsville Beach, so what better way to capture the essence of the destination than from the top of your standup paddleboard? Make sure you have a waterproof phone case, hop on a rental available at one of the island’s outfitters, and set off on a SUP adventure. Selfies on the water are strongly encouraged. See how this one paddler, @lovestosup, does it. Get above it all and grab a scenic shot of the coastline from one of the piers located at Wrightsville Beach. Johnnie Mercer’s Pier is the only concrete fishing pier in the state of North Carolina. This 945-foot pier is a staple attraction at Wrightsville Beach with iconic views. The Crystal Pier at the Oceanic, which is attached to the Oceanic restaurant, received a structural facelift in 2013 that preserved the long-standing antique wooden look of the pier that dates back to the 1930s. Bonus points if you grab a photo at sunrise with your selfie stick! Check out this perfect beachscape shot by @jdemaria. 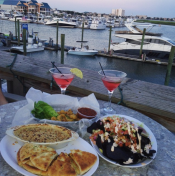 “Dock and dining” is big at Wrightsville Beach, so why not share a photo of your delicious #coastalcuisine and cocktail with the water the background? Because the area is surrounded by water on all sides, everything – even eating – caters to the boating culture. Check out the many waterfront restaurants offering this unique convenience including Bluewater Grill, Dockside and many more, and start clicking and eating away! Check out this dinner with a view for inspiration taken by @wilmingtonfoodpics. A picture with your #furryfriend is hard to beat, and what better backdrop than the beach? For many, a beach vacation wouldn’t be complete without their pet by their side. In that case, make plans during the off-season at pet-friendly accommodations to avoid boarding costs. Dogs are allowed on Wrightsville Beach while on leash through April 1, and there are several water fountains, just for Fido, located right on the island. So enjoy a seaside stroll with your best friend and take a photo or two! 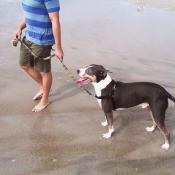 Here’s a great photo of a pup enjoying his day out on the beach by @awatsondesigns. The rest is up to you: Ready. Set. Insta!